The media has been full of discussion about whether or not Sydney and Melbourne are heading towards or in the middle of a housing bubble. What is a bubble, and are we experiencing one now? 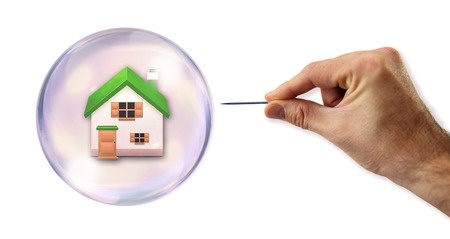 A housing bubble happens when demand increases substantially. This may be because of easy credit terms, low interest rates, or economic and demographic trends (such as increased immigration). Supply takes a while to catch up with demand, so prices increase. Speculators enter the market, further driving demand. In a classic housing bubble, prices far outstrip the underlying value of the market. At some stage, supply catches up and/or demand stagnates, prices fall. If this happens very quickly, the bubble has burst. When this happens, people who bought at the peak find themselves with properties worth considerably less than they paid. Banks find themselves holding loans that are worth less than the property value. The economy, financial institutions, investors and home owners all suffer – especially those that can’t afford to ride out the cycles. There is no denying the increased prices in the Melbourne and Sydney markets over the past few years. There is reasonable debate about whether or not we’re in a bubble yet. Read What if there is a bubble? to read our advice for property investors.